Speaking at the Goldman Sachs Conference, Tim Cook defended Apple from a whisper campaign that's seeding the idea the company is out of ideas and soon won't be able to continue to compete. 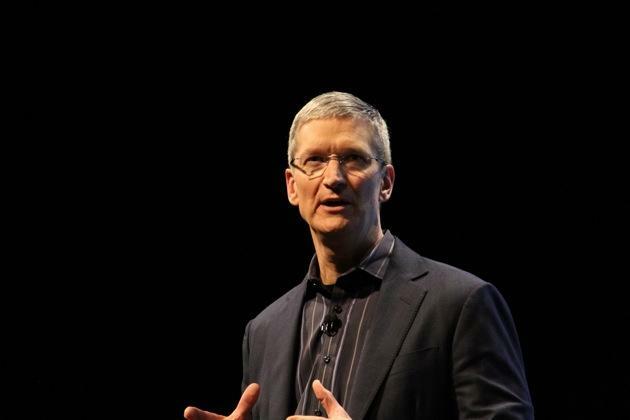 Asked about Apple's "culture of innovation," Cook said, "it's never been stronger. Innovation is so deeply embedded in Apple's culture. The boldness, ambition, belief there aren't limits, a desire to make the very best products in the world. It's the strongest ever. It's in the DNA of the company." "If you look at some essentials, there's no formula. If there was a formula, a lot of companies would have bought their ability to innovate"
While Apple's products have many imitators, Cook said that Apple's "culture of innovation" isn't something that can be formulaically copied by rivals. "If you look at some essentials, there's no formula. If there was a formula, a lot of companies would have bought their ability to innovate. Some essentials are skills and leadership," Cook said. "If you look at skills, Apple is in a unique and unrivaled position. Apple has skills in software, in hardware, and in services." Cook added, "the model of the PC industry, that model's not working for what consumers want today. Consumers want an elegant experience where the technology flows to the background. "The real magic happens at the intersection of these, and Apple has the ability on all three of these spheres to innovate like crazy and really cause magic. These skills, this isn't something you can just go write a check for. This is decades of experience." Cook's mention of "writing a check" to buy innovation is a likely allusion to a comment made by Steve Jobs in 2007, where he addressed a shareholder who asked why Apple wasn't spending more on research and development by saying, "I wish developing great products was as easy as writing a check! "If that were the case," Jobs quipped, "then Microsoft would have great products." Asked if Apple was reaching the point where it was approaching 'natural limits,' an apparent allusion to the "law of large numbers" talking point frequently used to predict the sudden collapse of Apple's growth trajectory, Cook answered, "There's that word 'limit.' We don't have that in Apple's vocabulary." Cook added, "when I zoom out and look at the smartphone market in particular, what I see is a market that is projected to double in the next few years. This is a huge market. On a longer-term basis, all phones will be smartphones and there's a lot more people in the world [buying them] than 1.4 billion, and people love to upgrade their phones very regularly," Cook said. "Over 40% of that, 500 million, happened over last year. Across that period of time, we built an ecosystem that is the best in customer experience on the planet. In addition, it's fueling an incredible economic gain for developers. We've paid over $8 billion to [iOS App Store] developers." That figure is $1 billion higher than the number Apple last reported for the end of 2012. If the company continues the current exponential pace of growth in the App Store, it will need to pay out $14 billion this year alone, or more than $1 billion per month. That figure comes in addition to the App Store revenues Apple is booking for iTunes, which only looks at the 30 percent cut Apple charges on the sale of paid apps. Turning attention specifically to Apple's largest, most promising new market, Cook said, "when I look at what Apple has done in China, I think it's hard for anyone to evaluate and say it's not impressive. The company has gone from a few hundred million in revenue in one year to $3 billion in the next to $13 billion the next. We're adding over $10 billion every year."